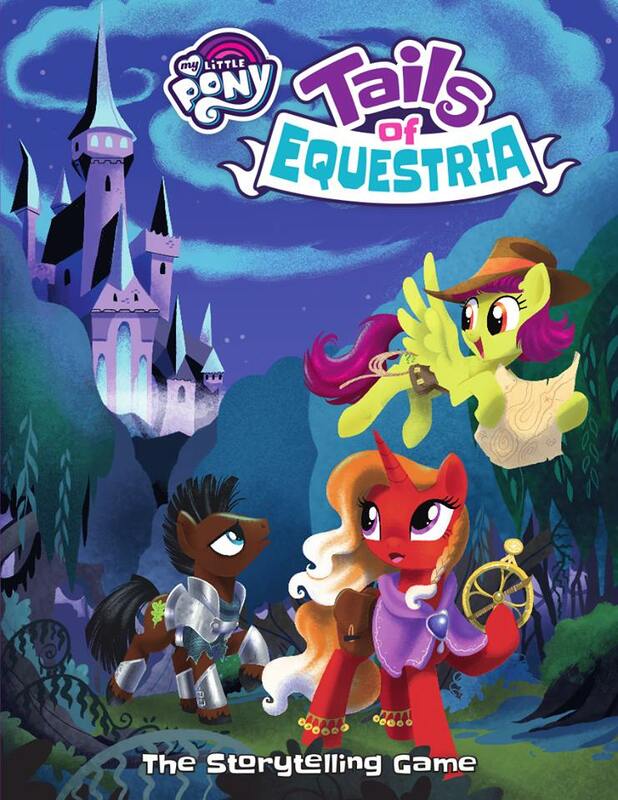 Everyone’s favorite ponies are back, My Little Pony: Tails of Equestria is getting its fourth new adventure module soon with The Haunting of Equestria. Aimed at higher level ponies, this new module promises epic adventure, and epic friends. My Little Pony: Tails of Equestria is getting its fourth adventure module, this one promising to be the most epic adventure yet for the burgeoning Friendship is Magic RPG. For those of you unfamiliar with Tails of Equestria, it’s an RPG set in the world of My Little Pony: Friendship is Magic. Aimed at a younger audience, this is a streamlined version of a d20 system, with an emphasis on teamwork, cooperation, friendship, and solving problems. Players can create their own pony, pegasus, or unicorn, and will interact with characters from the show as they travel around Equestria, doing good deeds and helping people with problems. 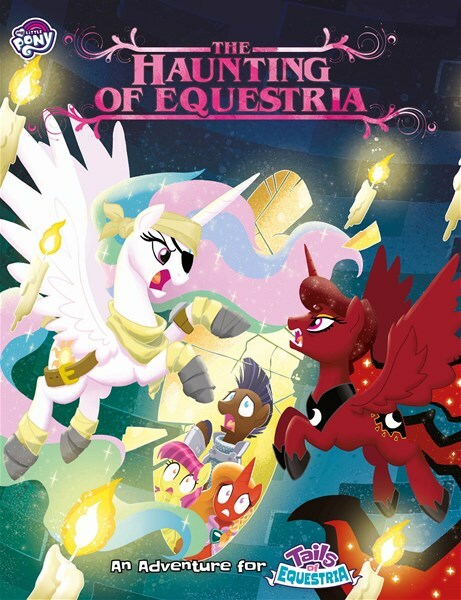 The Haunting of Equestria, as the name implies, deals with more spooky subject matter. But it introduces more characters from the TV show, and more importantly has support for higher level characters, making this book perfect for GMs looking to get a handle on some more advanced game mastering techniques.